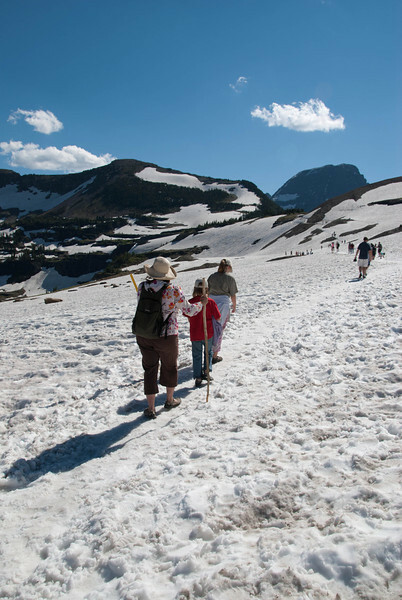 The hike to "Hidden Lake" went over snowfields. (The kids loved it.) We saw people hiking this trail in flip flops.